The Super Sport is an icon of its era. 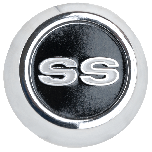 The SS Rallye Wheels are original equipment options and will help get your SS back into prime condition! 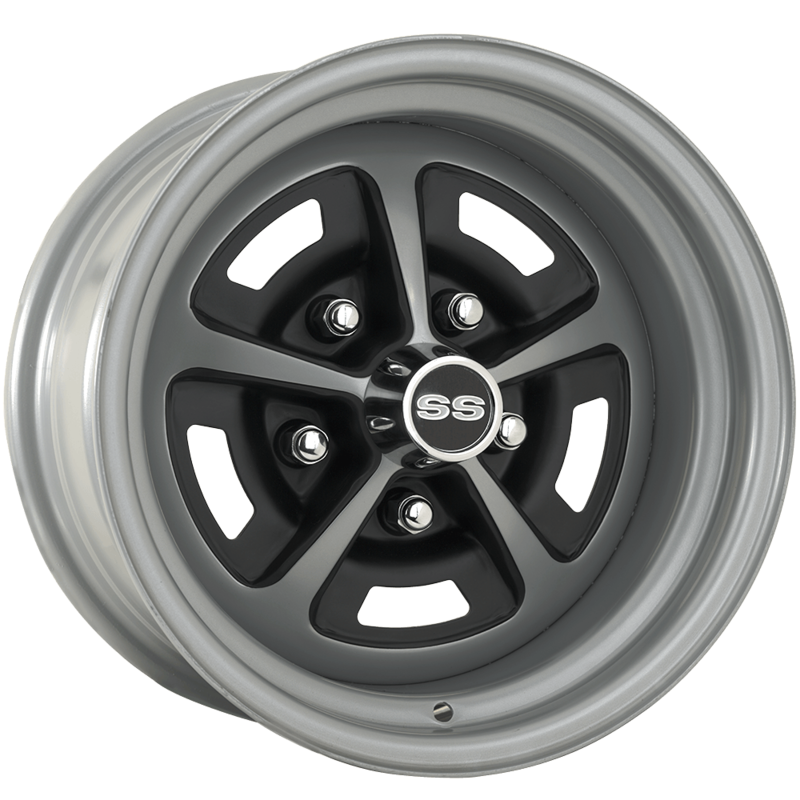 These powder coated Rallye Wheels feature hand painted accents and are proudly made in the United States. 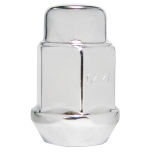 The original 5x4 3/4 bolt pattern will bolt right on. These wheels would have been an option for Chevelle, Nova, El Camino, Monte Carlo and Camaros. 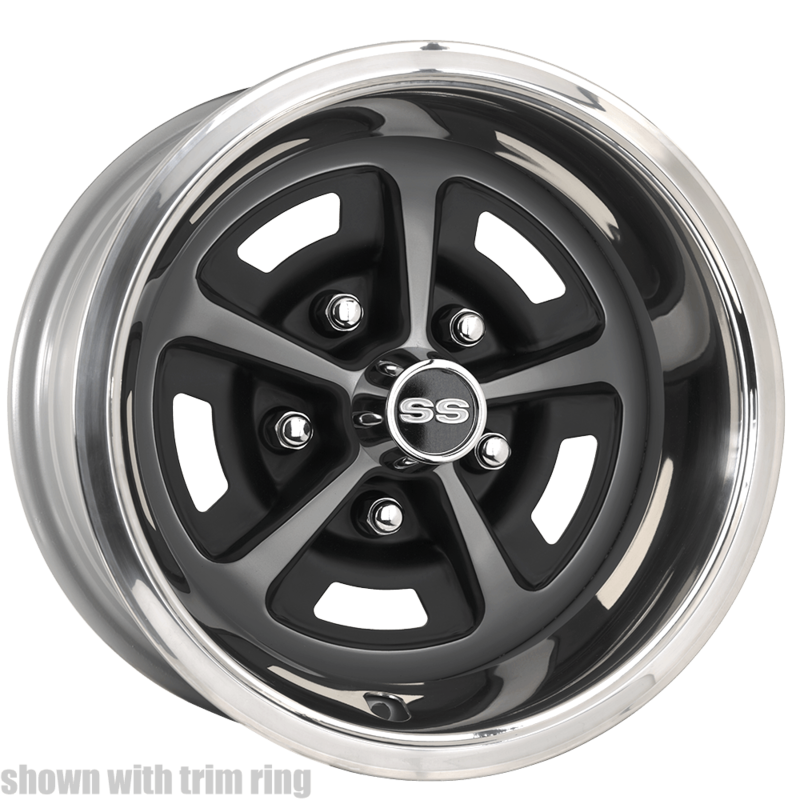 If your car doesn't have them now, upgrade to SS Rallye wheels! 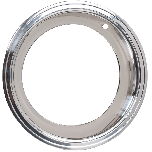 That is much larger that the sock size and while it may be possible to do so, we are unable to guarantee fitment of a non-stock setup such as this. It may serve you best to consult with a local shop for help in determining appropriate sizing. Once you have numbers in hand, let us know and we'll be happy to help you put a package together! 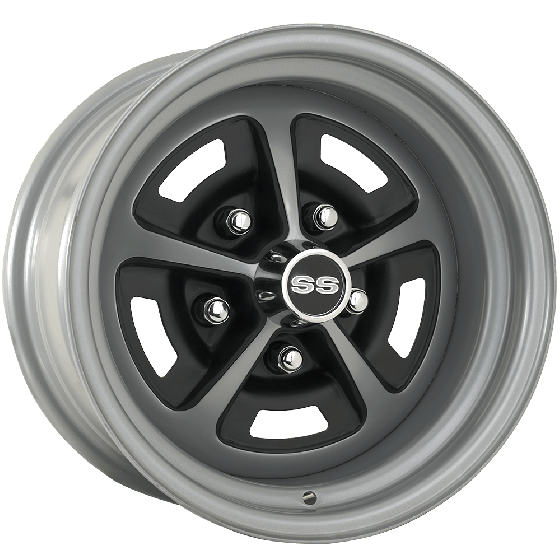 What trim rings are available for the 15 x 8" SS Wheels? 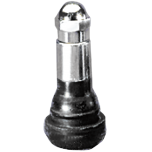 Need at least a 3" to 3-1/4" deep? Click Here to see the proper trim ring for this application. I have a 1970 Chevelle SS 454. I would like to purchase a set of wheels for it to fit 28x12.5x15 drag radials. It has stock on rolled quarter panels with chrome. I am told you have the correct offset to make this work. We will need more details in order to properly assist you. Please contact us at 1-800-251-6336, or support@coker.com.